Born in 1845, George Washington Kochenderfer was a son of Pennsylvania natives, Peter and Martha Kochenderfer (born around 1810 and 1815, respectively). In 1850, George W. Kochenderfer resided in Landisburg, Spring Township, Perry County, Pennsylvania with his parents and older siblings: Francis, John, Catharine, Peter and Daniel (born in Pennsylvania sometime around 1833, 1835, 1837, 1840 and 1842, respectively), and younger brother Samuel (born in Landisburg sometime around 1848). By 1860, George was still living in Landisburg with his parents, older brothers (Peter and Daniel), younger brother (Samuel), and younger sister (Martha, born in Landisburg sometime around 1858.) Two-year-old Nancy E. Rice was also living with the family, which father Peter supported on the wages of a laborer. By the time he was 20, as America’s Civil War was winding down, George Washington Kochenderfer was also a Perry County laborer. On 1 March 1865, at the age of 20, George Kochenderfer enrolled for military service and mustered in for duty at Carlisle, Pennsylvania as a Private with Company D of the 47th Regiment, Pennsylvania Volunteer Infantry. He then joined up with his regiment from a recruiting depot on 15 March 1865. Military records described him as being 5’7″ tall with dark hair, hazel eyes and a florid complexion at the time of enlistment. The 47th Pennsylvania Volunteers had been stationed in Virginia since their participation in legendary Union General Philip H. Sheridan’s 1864 Shenandoah Valley Campaign. By the time that Private George Kochenderfer caught up with his company and regiment, the 47th Pennsylvania’s fighting days – while not completely over – had begun their transformation into what would end as peacekeeping and reconstruction. 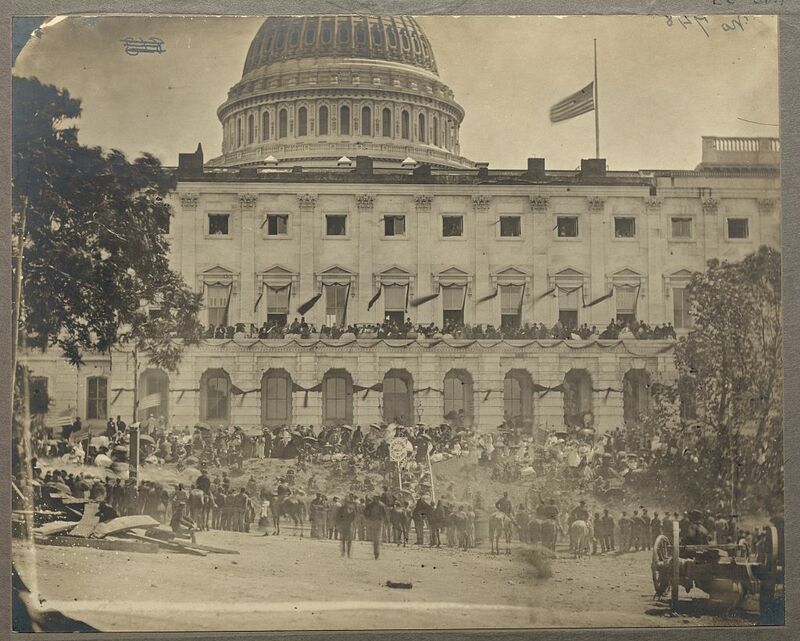 Assigned in February 1865 to the Provisional Division of the 2nd Brigade of the Army of the Shenandoah, the men of the 47th were moved, via Winchester and Kernstown, to Washington, D.C. where, on 19 April, they were responsible for helping to defend the nation’s capital during the upheaval which followed the assassination of President Abraham Lincoln and subsequent pursuit, capture, imprisonment and trial of the alleged assassination conspirators. Encamped near Fort Stevens, the soldiers of the 47th Pennsylvania received new uniforms and were resupplied. Letters home and newspaper interviews with survivors of the 47th Pennsylvania after war’s end indicate that at least one 47th Pennsylvania Volunteer was given the high honor of guarding President Lincoln’s funeral train while others may have guarded the Lincoln assassination conspirators during their imprisonment and trial. As part of Dwight’s Division, 2nd Brigade of the Department of Washington’s 22nd Corps, the 47th Pennsylvania marched in the Union’s Grand Review on 23-24 May. And Private George Kochenderfer was there for it all, becoming a living witness to one of the most important periods in America’s history. 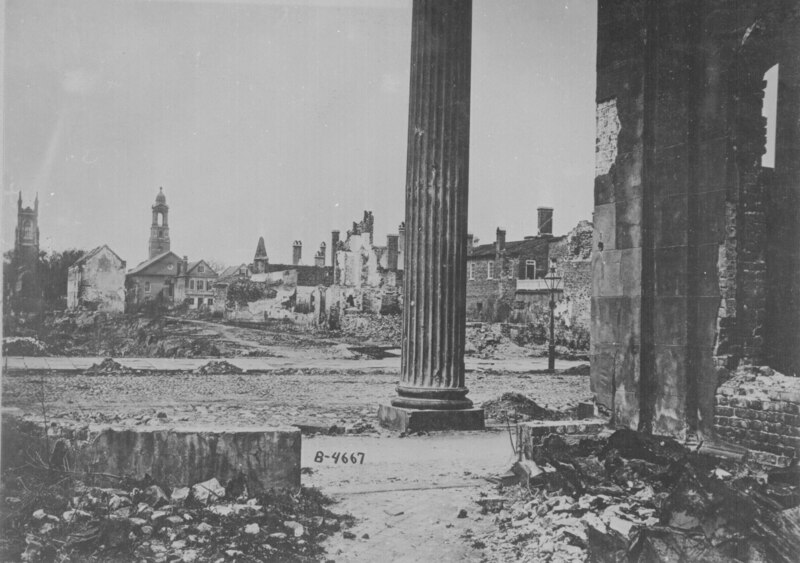 Ordered to perform another swing through the South, Company D and their fellow 47th Pennsylvania Volunteers served in Savannah, Georgia from 31 May to 4 June. Attached again to Dwight’s Division, this time the 47th Pennsylvanians served with the 3rd Brigade, U.S. Department of the South. Relieving the 165th New York Volunteers in Charleston, South Carolina July, they quartered in a mansion owned previously by the Confederate Secretary of the Treasury. Beginning on Christmas day of that year, the majority of the men of Company D, 47th Regiment, Pennsylvania Volunteer Infantry, including Private George Kochenderfer, finally began to muster out for good at Charleston, South Carolina, a process which continued through early January. After a stormy voyage home, the 47th Pennsylvanians disembarked in New York City. The weary men were then shipped to Philadelphia by train where, at Camp Cadwalader on 9 January 1866, the 47th Pennsylvania Veteran Volunteers were officially given their formal discharge papers. Following his honorable discharge from the military, Private George W. Kochenderfer returned home to Perry County, Pennsylvania. In 1871, he wed Perry County native, Sarah Isabella Shatto. Born on 9 July 1853, she was a daughter of Jacob Shatto and Mary (Smith) Shatto. In 1880, George and Isabella resided in Carroll Township, Perry County with their Perry County-born children, Martha Anna and Charles E. (born in 1876). Born on 6 June 1879 (although the 1880 federal census gave her birth year as 1872), Martha would later wed James Elmer Hill (1869-1933). George supported the household at this time on the wages of a laborer. By 1900, George was described on the federal census as a farmer. He and Isabella were still living in Carroll Township. Daughter Ella E. Kochenderfer (born in August 1881) resided with them, as did Chester Feister, an 11-year-old boarder. On 6 December 1922, Sarah Isabella (Shatto) Kochenderfer passed away in Marysville, Perry County, Pennsylvania. She was interred with her husband at the Mount Gilead United Methodist Church Cemetery in Shermans Dale, Perry County on 10 December 1922. Mrs. Martha Hill of Marysville was the informant on her death certificate. 2. Civil War Veterans’ Card File, Pennsylvania State Archives. 3. Death Certificate (“Sarah Isabella Kochenderfer,” File No. : 116738, Registered No. : 19). Harrisburg: Commonwealth of Pennsylvania, Department of Health, Bureau of Vital Statistics: 1922. 4. Schmidt, Lewis. A Civil War History of the 47th Regiment of Pennsylvania Veteran Volunteers. Allentown: Self-published, 1986. 5. U.S. Census (1850, 1860, 1870, 1880, 1900).